Commencing in July 2017, Ufone’s SIP put students through a rigorous regimen including engagement in real life projects while nurturing their skills through purpose built workshops as well as senior leadership interactions. As part of a recurring, prominent feature of the program, interns spent 24 hours undertaking community work. 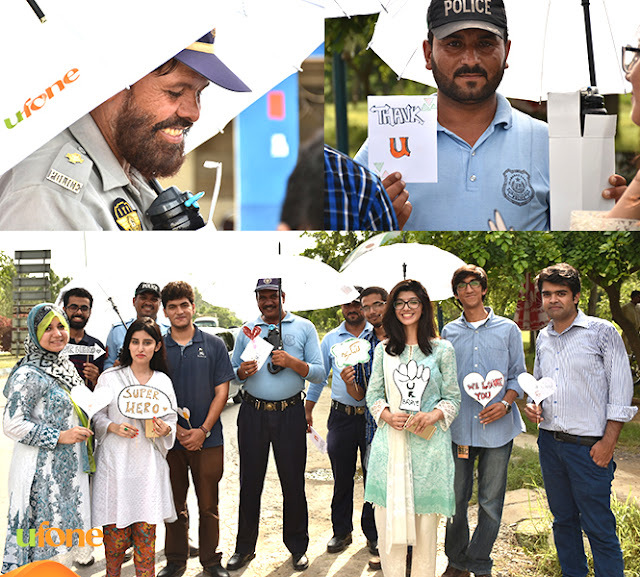 In Islamabad our interns participated in a campaign ‘Recognize the Guardians’ – through which they handed umbrellas and water bottles to more than 80 traffic police and other law enforcement staff at various check posts and traffic signals, in appreciation of their services. The interns in Karachi participated in a plantation drive placing planted seed pots, all across the city, and also assigning guardians with the responsibility to nurture them. Meanwhile in Lahore interns participated in highlighting the tireless work of Ufone’s internal non-management staff. The interns made ‘Thank you’ cards for select staff members to appreciate their diligent support. 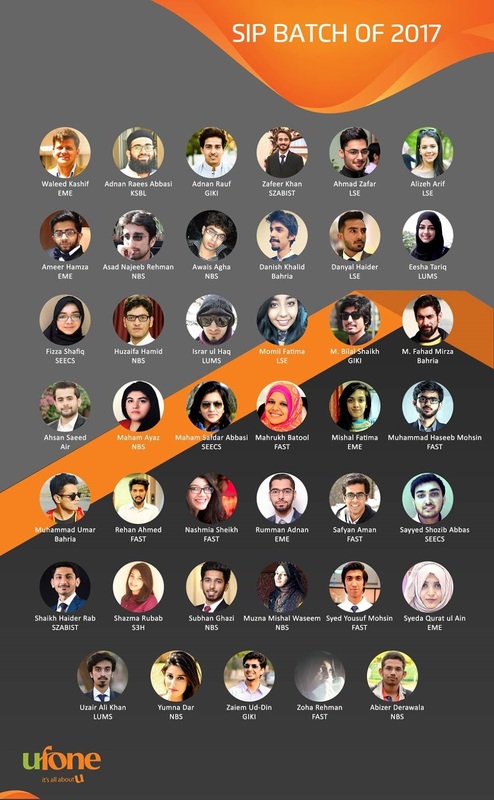 After 6 weeks of experiential learning, professional and personal development, Ufone bid farewell to the 2017 batch of SIP interns through formal closing ceremonies in Islamabad, Lahore and Karachi on 18th August 2017, 21st August 2017 and 29th August 2017 respectively. Various heads and representatives of educational institutions along with the graduating batch and their respective line managers attended the ceremony at Ufone Tower, Islamabad. Awards for the best interns were handed out, along with giveaways and Ufone souvenirs for all. Brig. 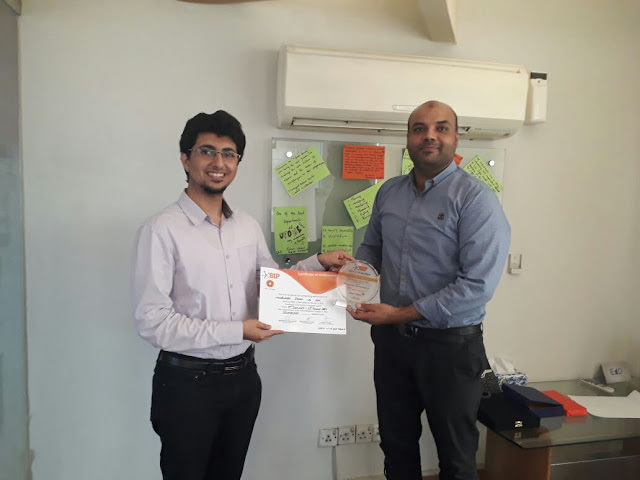 Tariq Javed, Commandant EME College, and Dr. Naukhez Sarwar, Dean NBS, appreciated the efforts of Ufone SIP team for organizing SIP 2017 and helping bridge the gap between industry and academia.